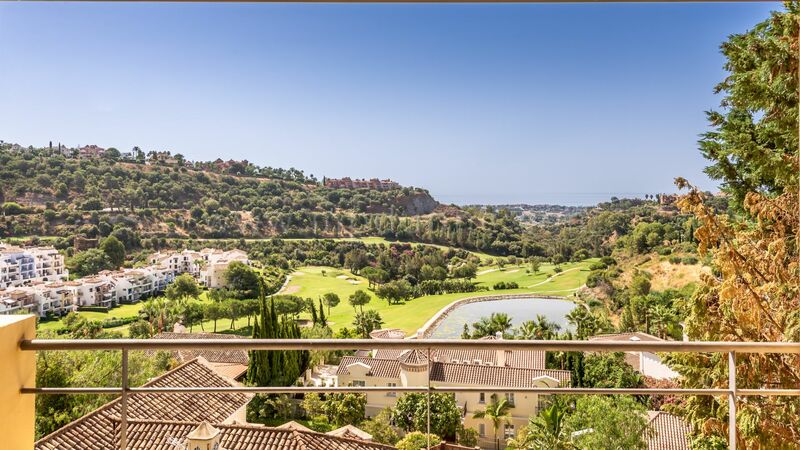 A luxury Villa with outstanding open views over the golf course at Los Arqueros and to the sea. 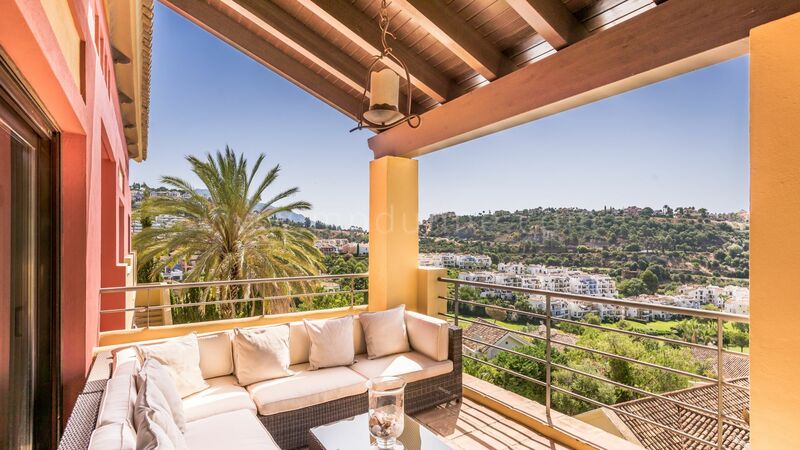 Facing south this home has sun all day and is located in a superior community close to Marbella, Puerto Banus and San Pedro. 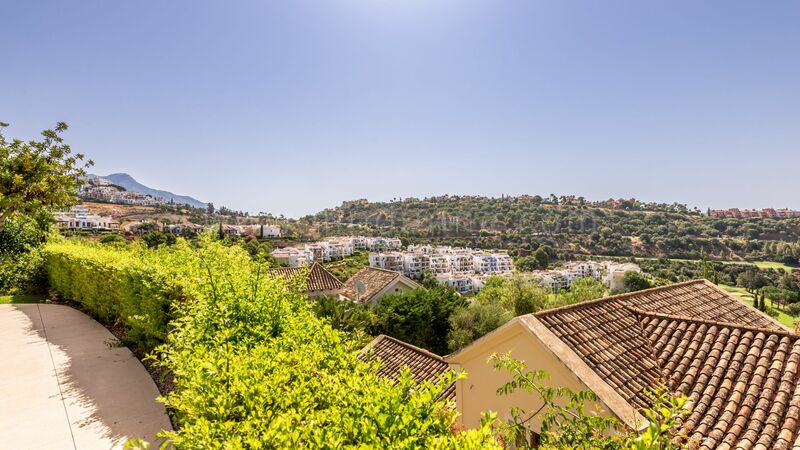 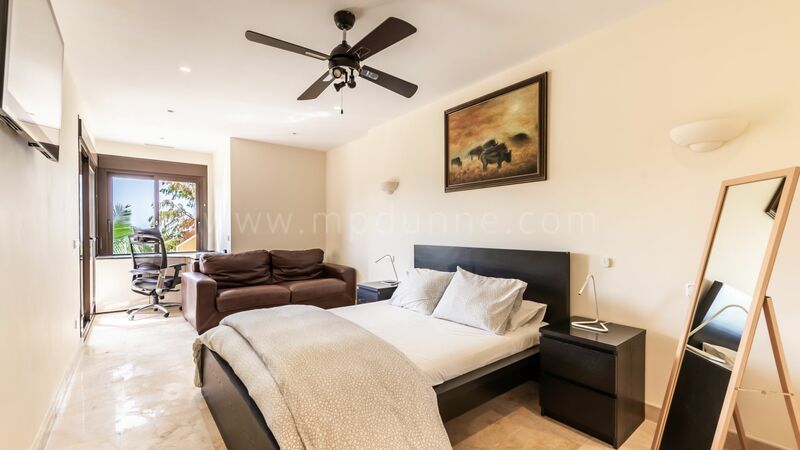 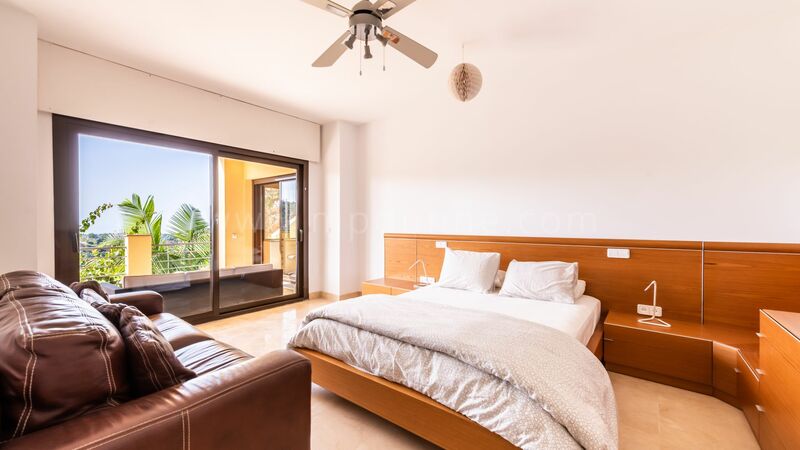 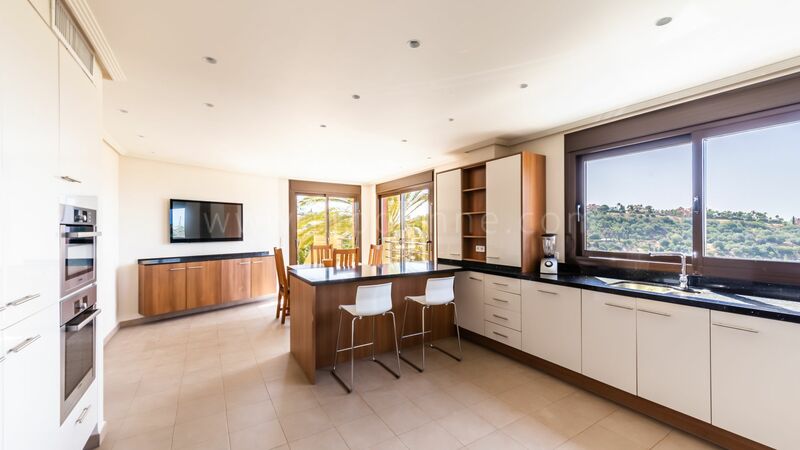 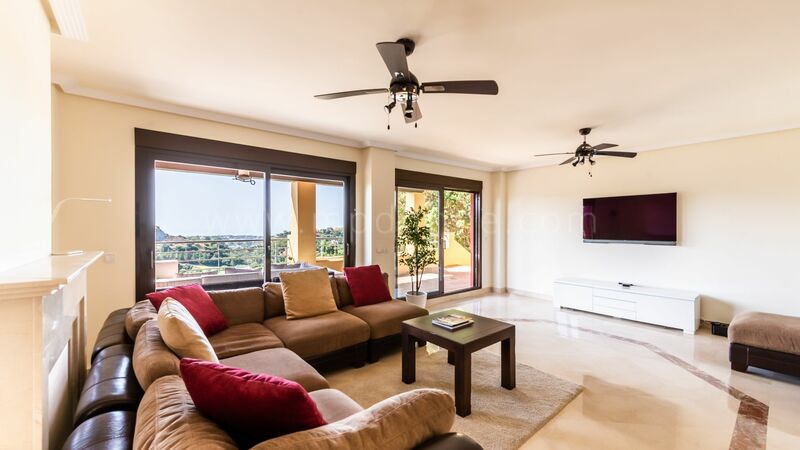 Built over three floors on an elevated plot in close proximity to the popular Golf Course at Los Arqueros. 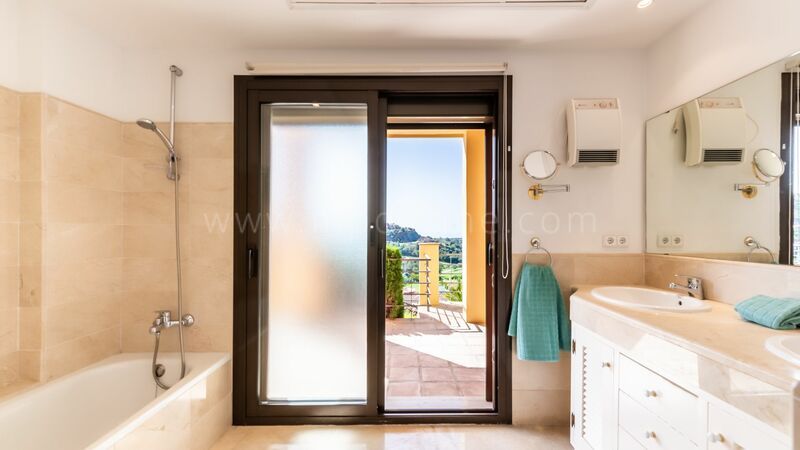 At the entry level, we have a closed garage and parking. 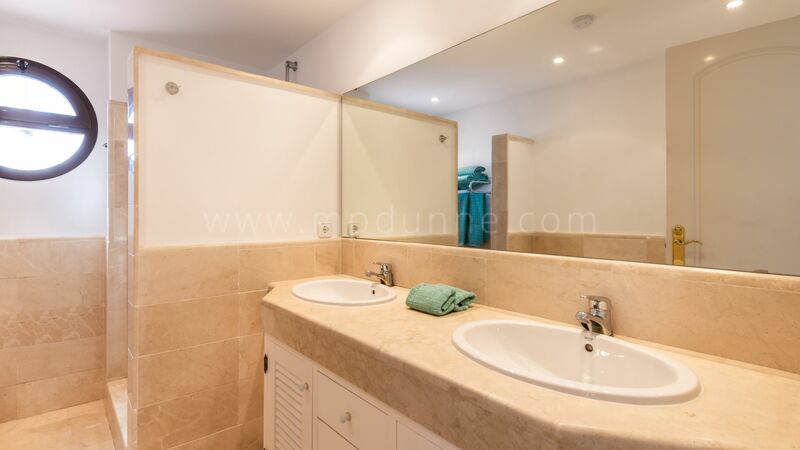 The main floor has a large reception lounge, a spacious kitchen fully fitted and with dining area, large terrace area, BBQ, utility room and a guest toilet. 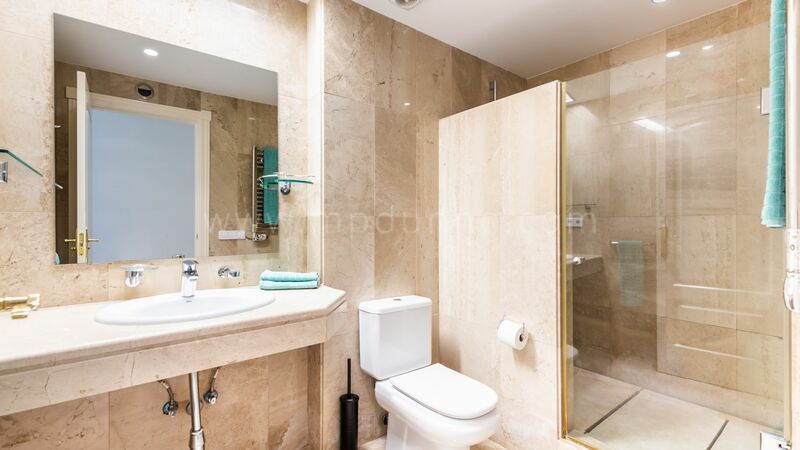 One double bedroom with bathroom on suite. 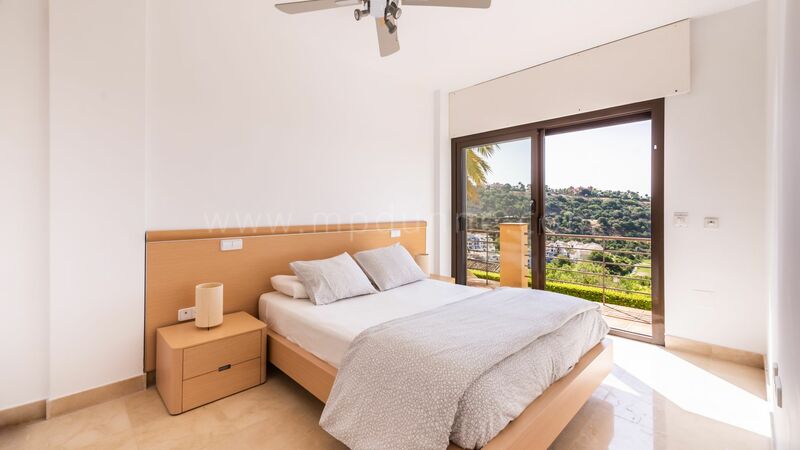 The second level has the master bedroom suite with dressing area, and own terrace having direct access to the gardens and swimming pool. 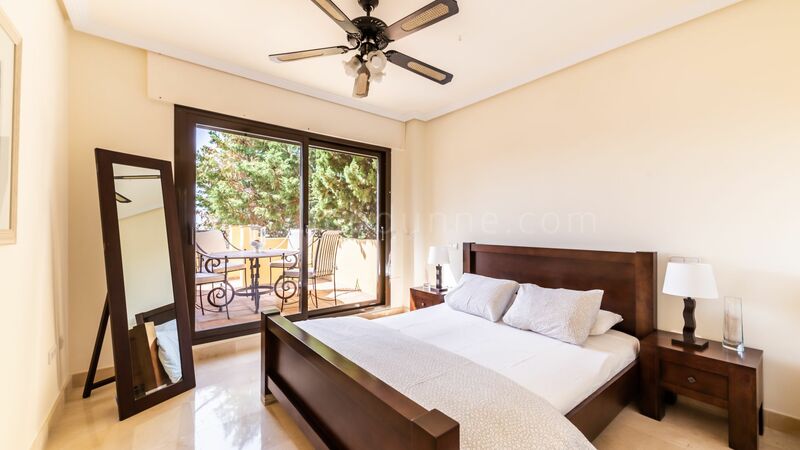 A further two bedroom suites again with own access to the pool and gardens. 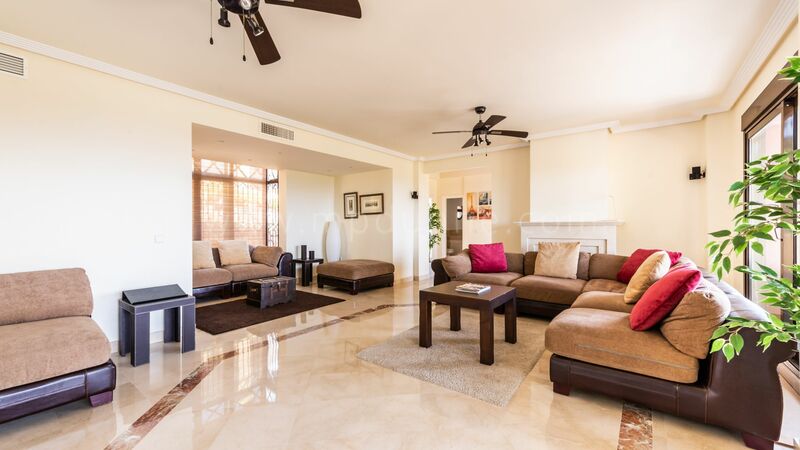 The lower level has another two bedroom suites one double and one single and access to the pool. 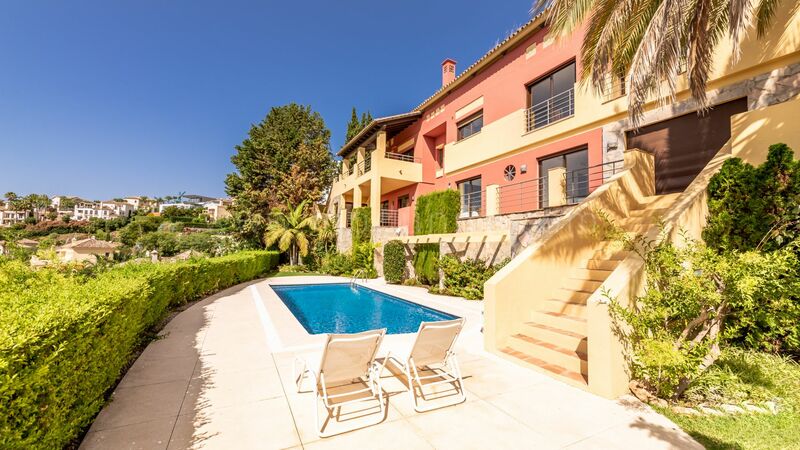 The property is rented regularly and is a very good holiday rental property as well as a perfect family home. 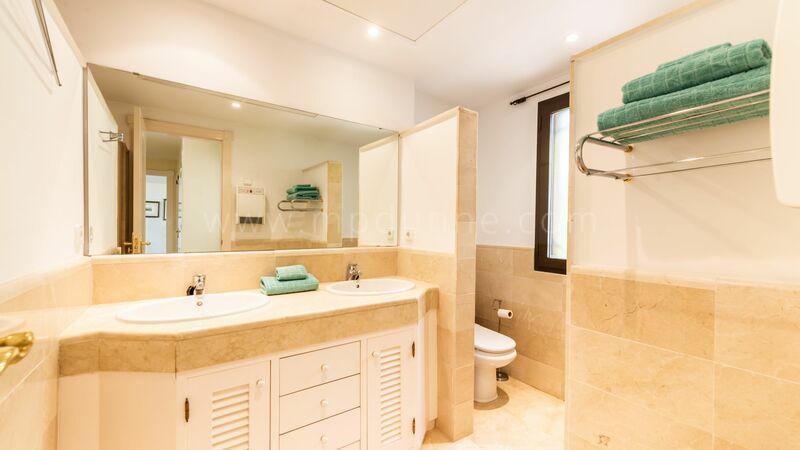 Offered in impeccable condition.